Livongo Blood Sugar Lookup: A companion to the digital chronic disease management company’s Livongo for Diabetes program, the new skill allows users to quickly check the latest blood glucose reading taken by their device or their weekly average. According to the company, program members can also receive a selection of general health tips through their device. Swedish Health Connect: A tool from the Providence Health system that allows users to find nearby Swedish Express Care Clinics and book same-day or next-day appointments at the organization’s urgent care locations. Cigna Health Today: Designed for employees enrolled in a Cigna plan, the service helps users check in on their wellness program’s goals and access additional info on rewards and health tips. Atrium Health: The health system’s skill allows patients in North Carolina and South Carolina find information about local care facilities — such as wait times, hours of operation, address and contact information — and book appointments. Express Scripts: The pharmacy benefit management firm’s offering lets members track home deliveries of their prescriptions, with the option to receive a notification when an order arrives at their door. The arrival of HIPAA-compliant data transfers to one of the world’s most popular voice assistant platforms sets the stage for a number of new voice-first products. And while voice command-based tools have been pitched for stakeholders across the industry, these six initial skills highlight the impact this medium could have among consumers and patients. From consumer health advice to clinician tools, Amazon’s voice assistant has already seen a number of skills and services revolving around healthcare. Although the past year was chock full of pilots and early implementations, experts in the field have stressed that the technology is only just expanding beyond its “first wave” of reactive health information services to become a more and more proactive tool. 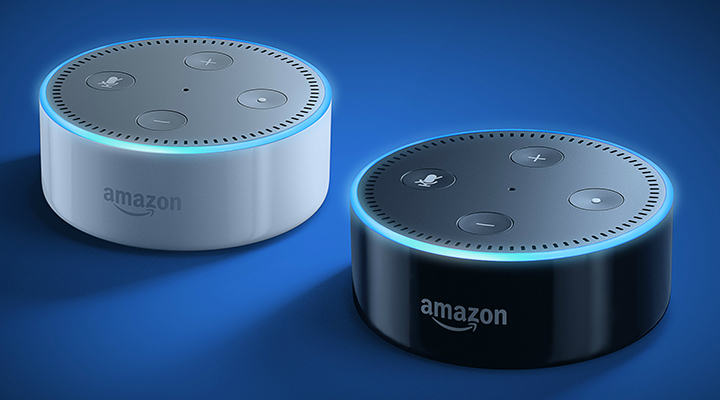 "We believe voice technology, like Alexa, can make it easy for people stay on the right path by tracking the status of their mail order prescription, helping us further solve the costly and unhealthy problem of medication non-adherence,” Mark Bini, VP of innovation and member experience at Express Scripts, said in a statement.